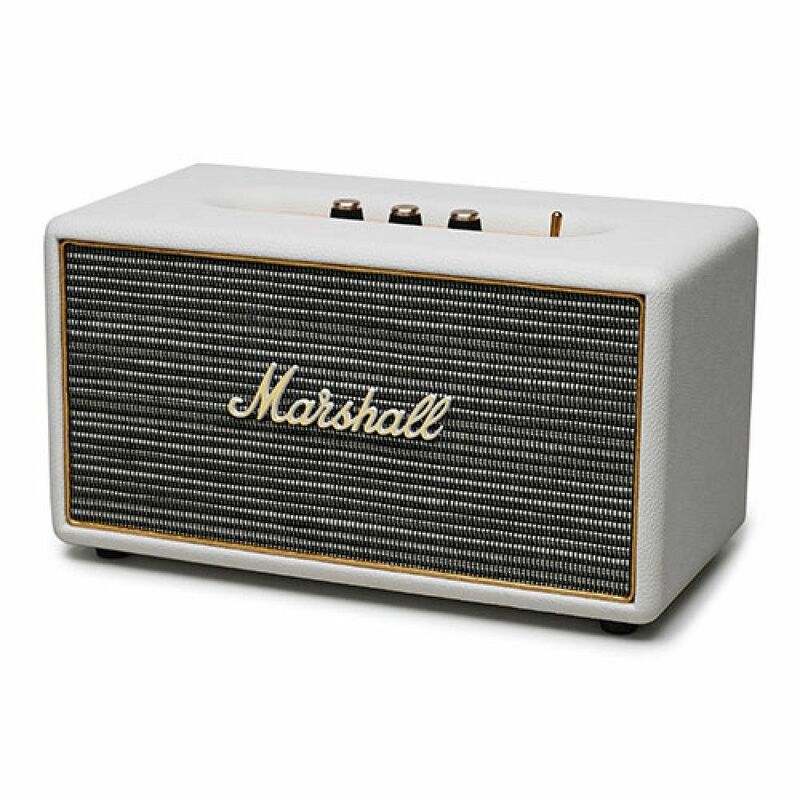 Marshall a company created with the help of legends like Ritchie Blackmore, Big Jim Sullivan and Pete Townshend has always created products that inspire awe not just with their sound but also their looks. The Woburn accomplishes that with great distinction. 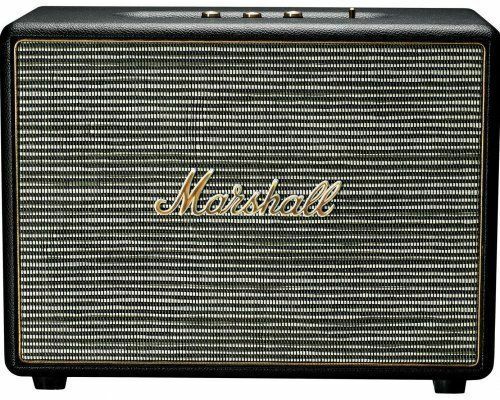 The Woburn is designed with loud in mind and you’ll quickly hear by its performance that it holds true to the Marshall name. This loudspeaker hits high trebles cleanly, handles low bass with ease and has a clear, lifelike midrange. 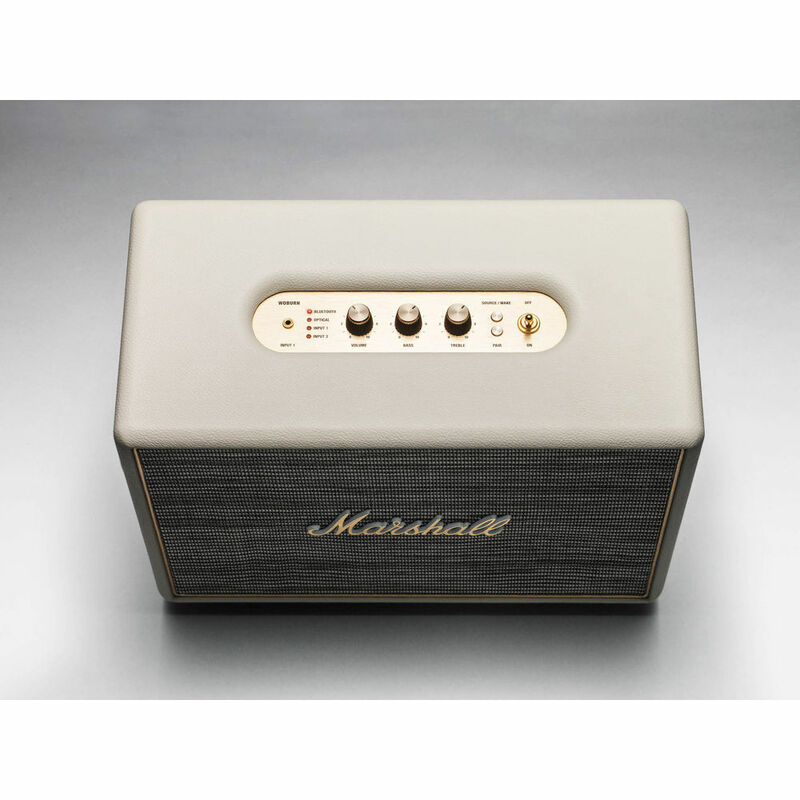 The analogue treble, bass and volume knobs give you custom control of your sound. With unique sound design and quality components, it’s made to deliver accurate response throughout the frequency range. With its script logo, black vinyl casing and vintage-inspired fret grille cloth, the Woburn is an instant rock’n’roll classic. The Woburn is larger than life with loud in mind! 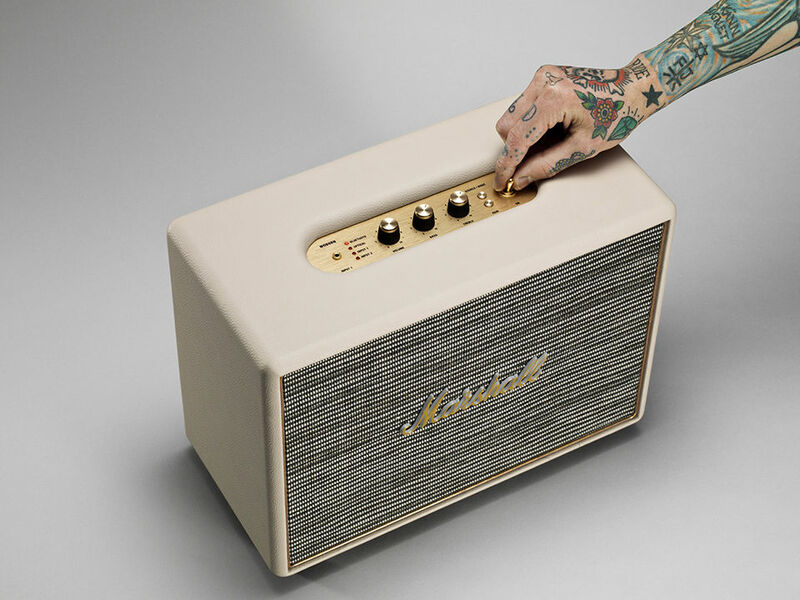 The Woburn features a classic Marshall design, with a vintage-looking front fret, gold-coloured metal details, and that iconic script logo. This speaker was truly designed to impress. The speaker features the option to connect your smartphones, computer or media player via Bluetooth and rock away. But with all its vintage Rock ‘n’ Roll appeal the Woburn has still kept up with all the technological advances. The speaker posses the option of connecting digitally via an optical cable. Hook your Woburn up to your TV, Apple TV, Airport express, hard disk player, streaming play and satellite or cable receiver. Optical works with PCM stereo only. The music quality is amazing, after i got into music more seriously i have begun to appreciate the value of a good music system even more. 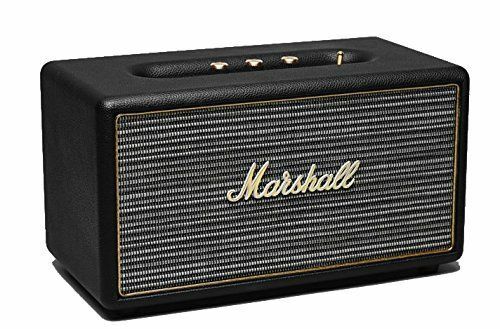 plus, i have always wanted to own Marshall speakers, so classy.